With Movement…There’s Improvement! | Adsystech Inc.
What better way to inspire movement than to celebrate “National Senior Health and Fitness Day”?! 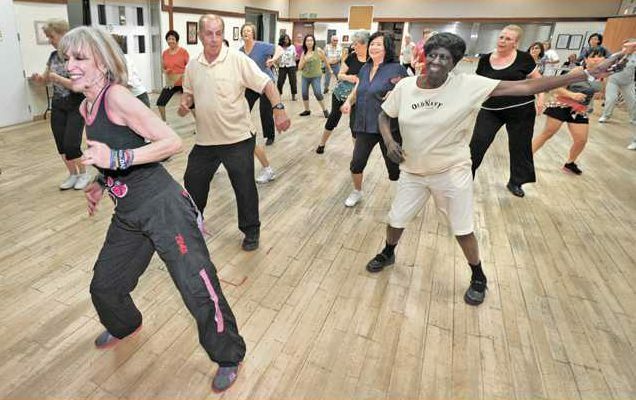 An event that is almost a quarter of a century old, the last Wednesday in May has become the nation’s largest promoted days dedicated to keeping older Americans healthy and fit! With over 1,000 organizations participating across 50 states, National Senior Health and Fitness Day is organized as a public-private partnership by the Mature Market Resource Center. Event activities include fitness walks, low-impact exercises, health screenings, health information workshops and many other additional health related interests and activities. This year’s theme is “With Movement…There’s Improvement” submitted and won, out of 1,000 entries, by contestant Catherine Heggaton. Each year, adults 50 and over are encouraged to submit entries of themes for the following year. If the bragging rights aren’t enough, the winning entrant also wins a cash prize! Estimating 100,000 participants, organizers plan on setting up shop and utilizing locations such as hospitals, park and recreations departments, senior centers, health clubs, retirement communities and other various community locations to encourage movement through offered senior friendly fitness activities and awareness programs.